Mac Everett has responded to encounters with the natural world by creating small, hand-made books. They include reflections on mountains, plants, seasons, weather, people, animals, lakes, and rivers. Sources for inspiration are both local and exotic. 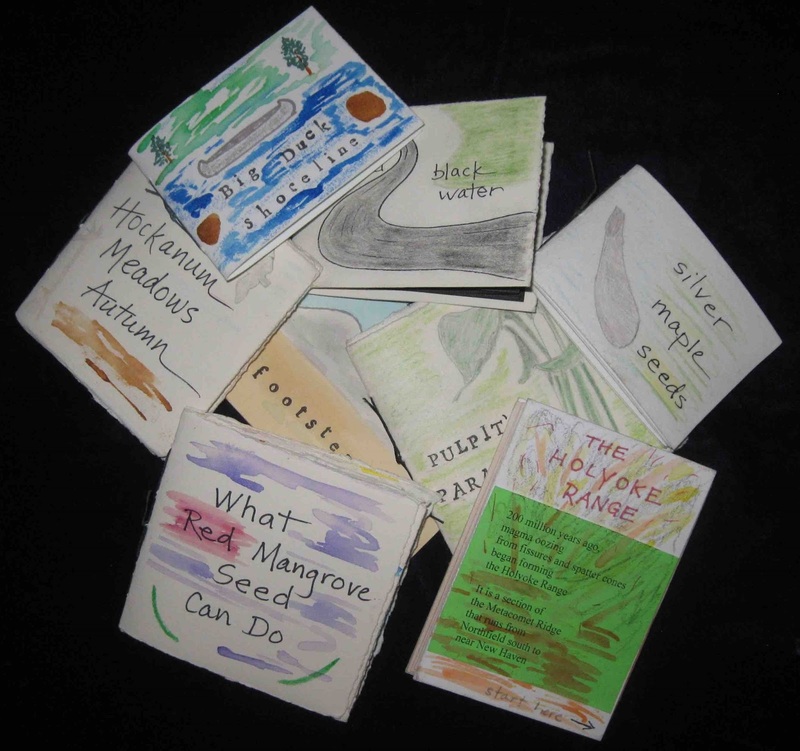 Most books are collections of haiku; some are brief narratives. Come prepared to sit and read for a bit from a mobile library of works, many of which will fit in a single hand.